The importance of choosing the right divorce attorney to represent you cannot be overstated. Unfortunately, many people end up hiring the first divorce attorney they meet without considering whether he or she is the right fit for them and their circumstances. The divorce attorney you choose to represent you and protect your interest will have a monumental impact on the outcome. When you consider how much is at stake, it just makes sense to carefully consider the attorney who will be entrusted with your future. Many people will either begin their search for a divorce attorney based on recommendations from friends and family, or they will do a Google search and respond to which ever firm happens to pop-up. It is imperative that your attorney, not only have the right credentials and experience to provide competent representation, but other things that should be considered are personality, philosophy of practice, and experience in the different divorce processes. There are different ways for getting a divorce. 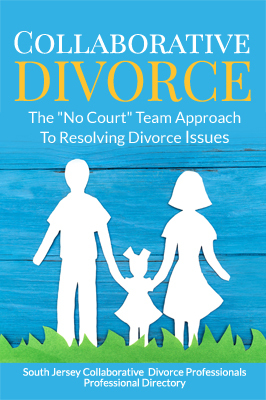 The most common divorce process options include traditional divorce litigation, mediation, and collaborative divorce. Some recommend that you first decide what divorce process is right for you, and then choose an attorney with experience using that process. The problem is that divorce can be complicated, and you may need professional guidance deciding which strategy is best for you considering your particular circumstances. If you go to an attorney who only has experience with traditional divorce, for example, he or she is not likely to recommend any other options. Therefore, it is recommended that you meet with family lawyers who have experience in traditional divorce, mediation, and collaborative divorce. Divorce lawyers with expertise in multiple areas of practice will be able to recommend the strategy that is best for you, your circumstances, and goals. Finally, be sure to interview at least two or three family lawyers before you choose an attorney. Resist the temptation to hire the first attorney you meet. This is a big decision and one that is going to impact the rest of your life.